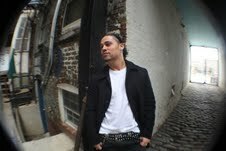 Walter Hidalgo has just published a book titled Beyond the Four Walls: The Rising Ministry and Spirituality of Hip-Hop. He is currently working as an Associate Director of Youth Ministries for Riverside Church in New York City. In addition, he teaches Spanish and History as an adjunct professor at Touro College in New York City. Walter holds a Bachelor of Science degree in Criminal Justice and Political Science from Northeastern University in Boston, Massachusetts and a Master of Arts degree in Church History and Society from Union Theological Seminary at Columbia University in New York City. He is a native Rhode Islander and currently resides in New York City. My motivation for writing this book is plentiful. But one reason stands out the most; the commercialization of Hip-hop. I believe that radio stations, music video channels and those individual Hip-hop artists that are making a lot of money from the business side of Hip-hop has created a monopoly in the music and in the culture. As a result, the “other” side of Hip-hop lacks exposure and what we get is a one-sided view of Hip-hop that has many critics. But what I try to do in this book is expose the positive side of Hip-hop by introducing its spiritual and social justice characteristics; which are most notably seen through its various ministries in (and outside) of the church. Its presence in the Church (as well as other secular and faith based organizations) not only makes us re-think about what it means to do ministry, but it also makes us re-think about what it means to be the church. The church and its purpose/mission became clearer to me when I attended Union Theological Seminary (UTS) at Columbia University–where I wrote my thesis, the genesis of my book. When you add this knowledge and my work with youth in various churches and faith-based organizations, it became evident to me that the need for having Hip-hop in the church was both crucial and beneficial. Youth want to change the world but the church at times appears to lack confidence in the gifts and talents that our youth have to offer. This in turn creates a disconnect with our youth and in a time where many Churches are dying because of the effects of the economy, the competitiveness found in social medias such as Facebook, and ‘ol school methods of doing worship, to name a few; finding other alternatives to draw youth to fill in those empty seats in the church has become ever so important. Ergo, one way that the church can survive these calamities is to go beyond the four walls of the church and begin, or go back to (I say “go back to” because the original Churches were manifestations of diverse groups of people who would meet in what we call secular places [i.e. a friends house, the street corners, etc.] to share and critique each others understandings of the world based on the teachings of Jesus Christ), reaching out to its youth, especially those that are in the margins of our societies, by using Hip-hop music and culture as a medium to create a safe and sacred space that is fun, dialectic, critiques openly and is real. As a youth minister and professor, I integrate the moral and ethical teachings of Jesus Christ into the classroom by bringing in real life scenarios that are based on the examples given to me by my students. Of course, this happens less often at Touro College where I teach History and Spanish, but when I teach History specifically, I cannot sway away the role that religion has had in the historical make-up of human kind. But as a youth minister at the Riverside Church in New York City, the spiritual, educational and vocational elements of my job are what defines my duties as a youth worker, but most importantly, it provides purpose to me as a human being and as a child of God. Because education and spirituality is so important to me, one of the best ways I find these two to intersect with my youth specifically is through mission trips and retreats. 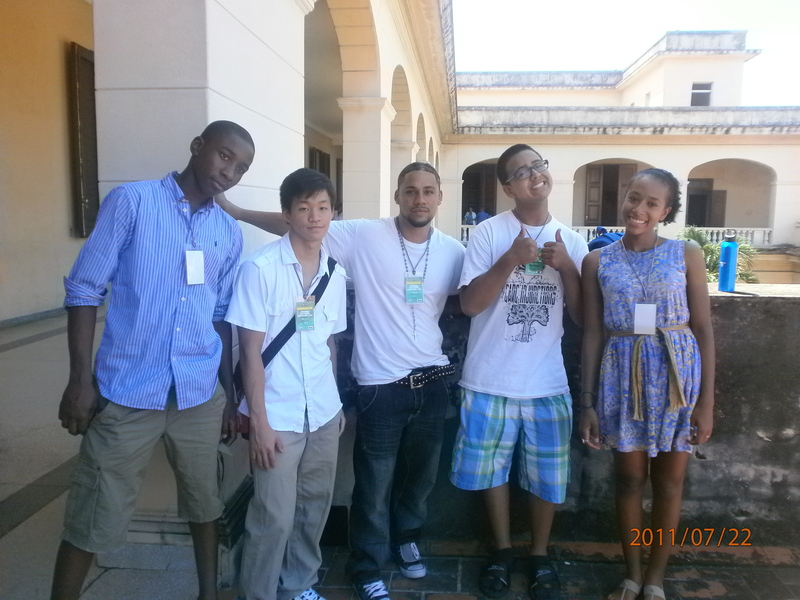 This past summer 2011, we brought three of our youth from the Riverside Church to Cuba to learn about it’s economy, religious presence, African influence, etc. This was a collaboration between our youth ministry department and our Mission for Social Justice Department. In addition to these departments, we collaborated with our host organization called Pastors for Peace (www.ifco.org) where we collected computers, medical supplies, toys for kids, etc. from all over the U.S. and Canada and crossed them over via the U.S. – Mexico border to transport them later to Cuba. Our objective was to defy and end the U.S. – Cuba blockade while being in solidarity with our Cuban brothers and sisters–because despite our historical and political differences, we are neighbors and therefore part of the Kingdom of God! Exposing this to our young people, especially when the Hip-hop culture was used to create socio-political change in Cuba, creates a long lasting memory–and in many cases crystallizes–this call toward social action while creating this sense of global (and local) responsibility to work toward social justice. So, some of the profits will be used to fund more mission trips like Cuba so we could bring more youth to various places (locally and globally) that need our help. This push for more mission trips stems from my own experiences doing research for the book which basically reinforces this notion that Hip-hop is creating sacred and safe spaces of socio-political change and spiritual growth. For example, in the Conclusion section of my book I talk about my experience traveling to Colombia in South America as part of a travel seminar course that I took while studying at UTS back in 2008. About 15 of us traveled to study peace culture, peace education and liberation theology in a country that continues to struggle with internal displacement, racism, and paramilitary chaos. Not surprisingly, many of the organizations that we visited that supported youth utilized the Hip-hop culture as a medium for education, community building, and life learning skills, to just name a few. But what I remember the most was when a famous “Colombian politician Piedad Esneda Cardoba Ruiz said: “The youth are the key to the liberation of Colombia.” (pg. 102) This statement was said after several Hip-hop performances from Colombian youth (and myself) and before a discussion that I had with local (youth) MC’s where they said to me that it’s Hip-hop culture and music that is helping to provide a positive alternative to guerrilla army recruitment and racial bigotry that is sometimes found in Colombian youth culture. In the Colombian context, like countless other places in the world, Hip-hop is being used to build communities that fight for social justice while creating sacred spaces of peace, love, unity and having fun! This mantra is no different then the Hip-hop culture here in the U.S., especially with my young people. Again, socio-political change, spiritual awareness and of course knowledge and agency using the Hip-hop culture are but a few ways that reflect the kind of work that I do whether its my youth ministry, youth organizing and/or youth worship because all are all encompassing with a call to take action to change themselves, there respective community(s) and there soul. You can connect with Walter on facebook and twitter to learn more about him and the book. Information about purchasing the book is at the Beyond the Walls website.